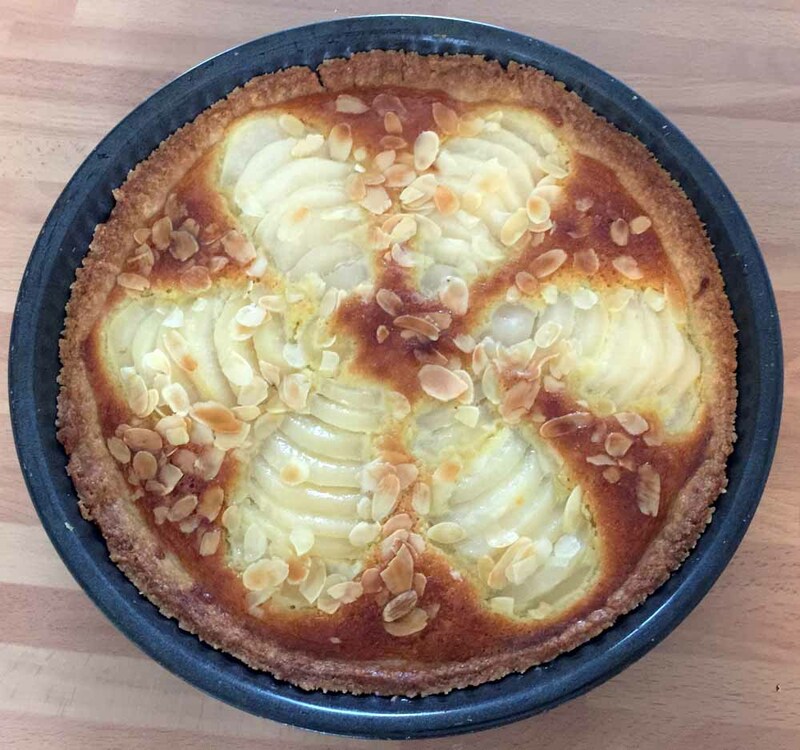 This pear and almond tart or amandine aux poires is also known as Tarte Bourdaloue and was created around 1850 by a Parisian patissier on Rue Bourdaloue – hence the name! It can be made with fresh pears (ideally poached first) or you can use tinned pears which work perfectly. *Glaze : You can heat a few spoons of apricot jelly and brush the top of your tart once it has cooled down to give it a nice shiny look!